The Department of Energy reports that summer cooling costs account for up to 47% of all energy expenses during these few months of the year. Many homeowners face significant increases in energy costs once the temperatures outside heat up. Homeowners should take advantage of every opportunity to reduce summer cooling costs. Luckily, there are many simple ways to keep the home cool and comfortable while minimizing energy consumption and costs. Professional A/C tuneup service reduces wear and tear on the unit and reduces energy consumption by 5% to 15%! Professionals come out to the home to inspect the unit, looking for any sigs of damage, wear and tear, or other problems that cause the unit to work hard to cool the home, depleting the life expectancy and your bank account. Once repairs are made, significant savings (and added comfort) in summer cooling costs are noted. Costs of the tuneup vary, but it is always an affordable service well-worth the small expense. Adjusting the thermostat a few degrees can make a considerable difference in energy consumption and costs, but it won’t put a damper on comfort. Each degree the thermostat is set over 75 degrees could result in up to 15% savings. A thermostat set at 76 degrees should suffice on the hottest days, while a temperature setting at 78 degrees F is best at night and when you’re away from the house. It is beneficial to upgrade to a programmable thermostat for even greater savings. Every day of summer isn’t excruciatingly hot. When the weather outside isn’t sweltering, turn off the air conditioning unit and open the windows. The fresh air will remove some of the polluted air from the home and of course, every minute the unit is off is another penny saved. Consider opening the windows at night as well. Don’t invite the hot sun indoors with open blinds and curtains. When the sun is shining brightly, close the blinds to keep the sunshine from heating up the home. It is also ideal to use light-colored curtains to further prevent entrance of sun and heat into the home. Using the ceiling fan in the home to circulate the cool air blowing from the A/C unit can cool the home an additional 6- 7 degrees. The fan also pulls heat away from the skin and use about 1/60th the energy that an A/C unit uses. This extra comfort allows the thermostat to be adjusted a few degrees higher, resulting in serious cash savings. 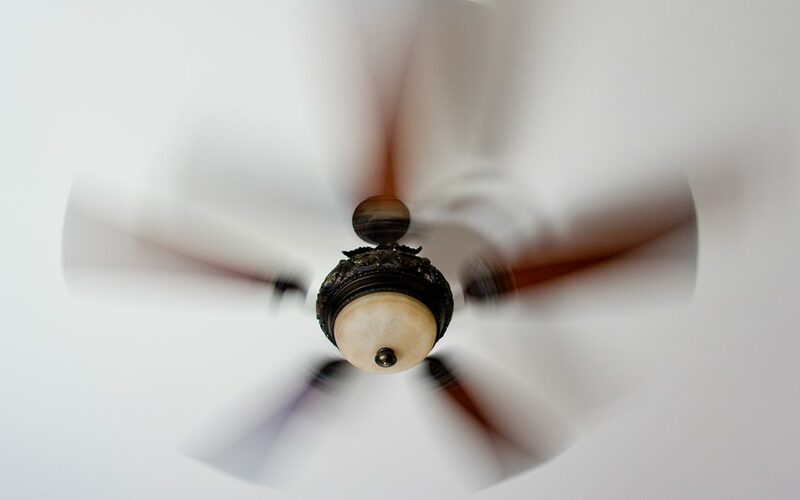 The fan should be set to the counterclockwise position during summer, which blows air downwards. Summer does not need to make your home uncomfortable or be hard on your wallet. Implement these suggestions to reduce summer cooling costs and you will notice a difference in your energy bill. JS Consulting Group provides inspection and consulting services for both residential and commercial properties to Southern California, including Los Angeles and the surrounding area. Contact us to discuss what we can do for you.